Q.Where does the name Koki Boga come from and what does it mean? A. Koki Boga got that name because in the first line-up of the band there was someone walking around (since a long time) with the idea: if I start a band then it has to be called Koki Boga . No further explanation, just because it sounds great. Finally: one of our former trumpet-players has been doing some ethymological research and discovered that in indonesian 'koki xyz' means nice food. 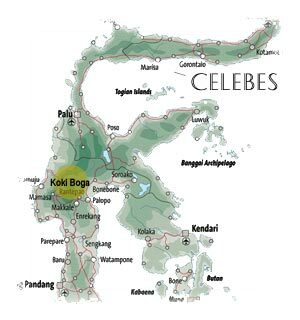 With some liberal interpretation of the Indonesian language (dialect round and about Celebes) Koki Boga becomes a exotic name for what we in Holland call nice music. Thanks to Simon Lelieveldt for this explanation.